These Exotic Body Butters are Shea butter whipped into creamy smoothness, with just enough additional ingredients to insure a uniform texture, from the moment you first open the jar until you eke out that last little dab in the corner. Shea butter is excellent for moisturizing and protecting your skin any time of day. It's also a perfect night cream. 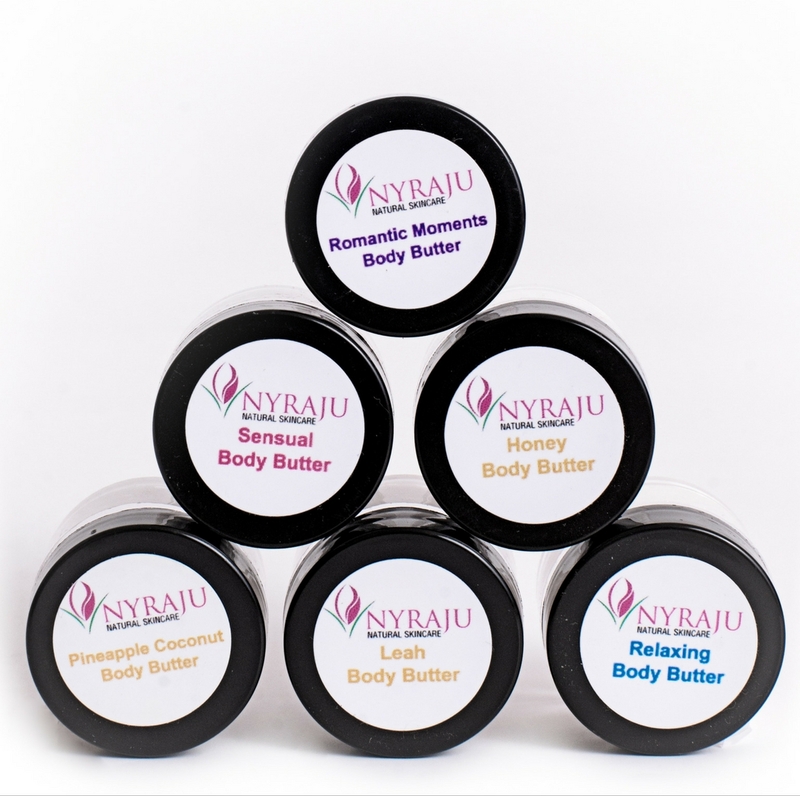 We've created a sample kit of the six body butters offered (Leah, Honey, Romantic Moments, Sensual, Relaxing and Pineapple Coconut), so that you can have fun choosing your favorite. Once that's done, you can then purchase larger sizes knowing exactly which one you like best. So ... whether you slather it on your body at bedtime without fear that you will stain your bedding or night clothes, or use the sample sizes to carry in your purse, your skin will feel silky smooth whenever you use them. It will leave you feeling good all over!